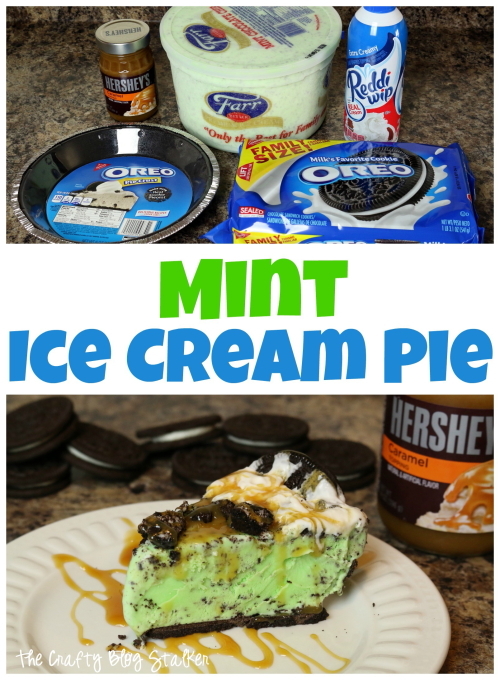 Make a delicious Mint Ice Cream Pie for dessert! 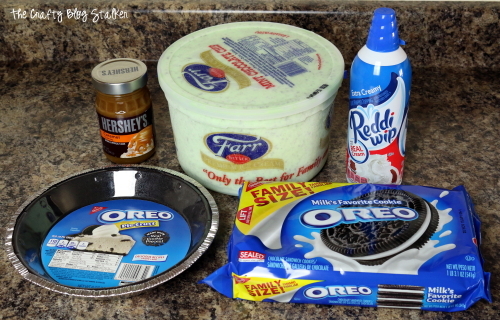 This dessert recipe is so good and perfect for a hot summer day. 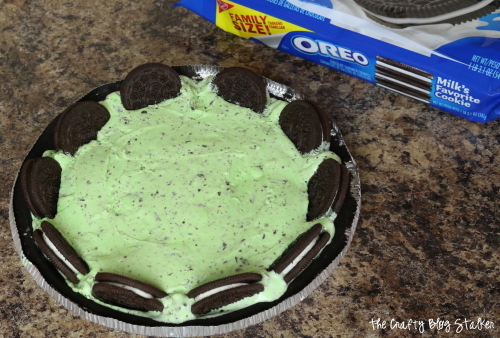 Celebrate with a frozen pie. Winger’s Roadhouse Grill is a family favorite. They specialize in wings and burgers which are really good, but my very favorite menu item is Asphalt Pie. Asphalt pie is a frozen dessert made with mint ice cream, oreo cookies, caramel, and whip topping and it is DELISH! So good that I wanted to recreate their recipe and share it with all of you. Trust me, if you try it once you will make it again and again! 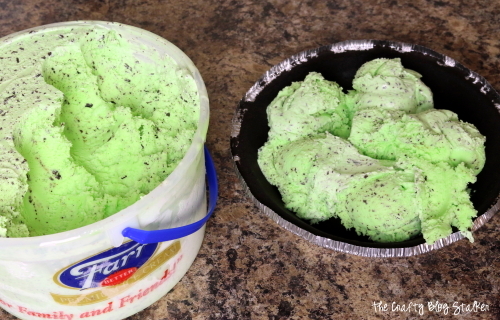 Start out by putting several scoops of Mint Ice Cream into the pie crust. I did about 7 large scoops. 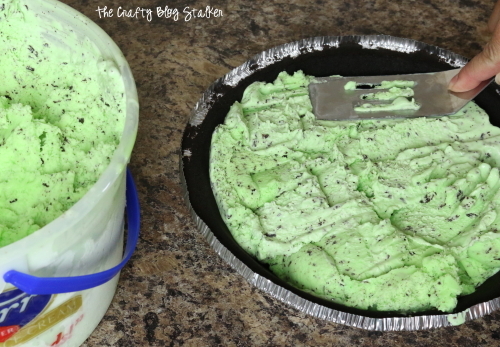 Flatten the ice cream by pushing down on the ice cream with a spatula. 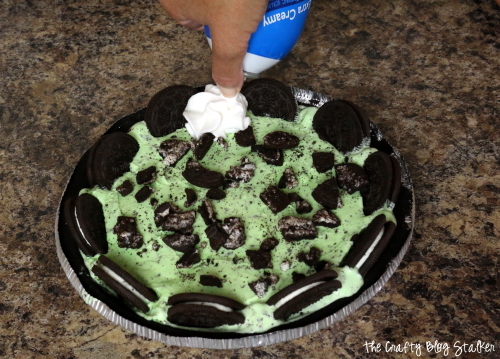 Add whole Oreo Cookies around the edge of the pie. Add crushed cookies to the center. Add dollops of whipped topping around the edge of the pie. Top off with caramel sauce. And that is all there is to it. Store in the freezer until ready serve. Then slice it up and dish it out and listen for the MMMMMMM’s! 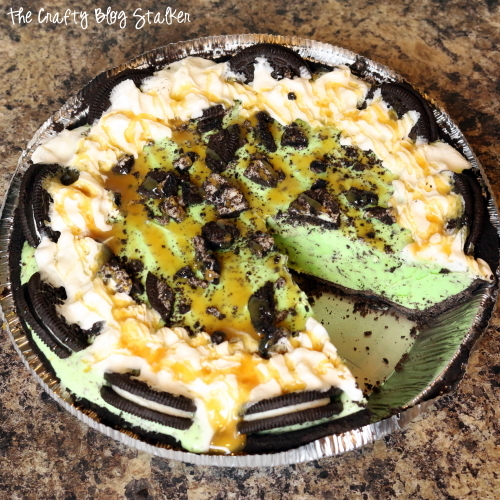 The combination of flavors in this frozen pie is so good. 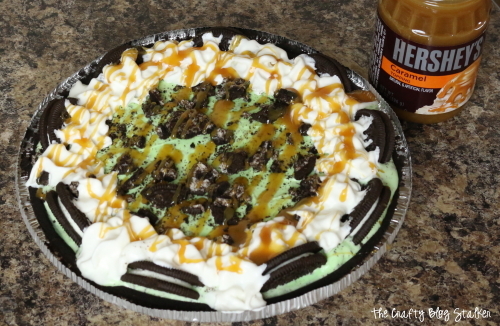 While I love the pie, you can actually make it as a sundae too. 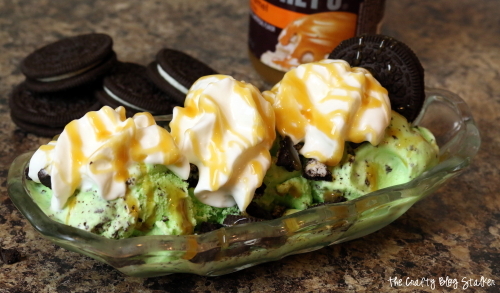 Simply add a couple scoops of Mint Ice cream to a bowl and add the same toppings of crushed oreo cookies, whipped topping and caramel sauce. Then you have dessert for one! 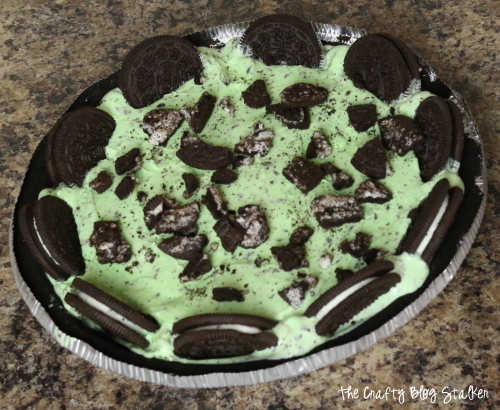 Thank you for checking out my Mint Ice Cream Pie Recipe. I hope you make it and enjoy every bite! 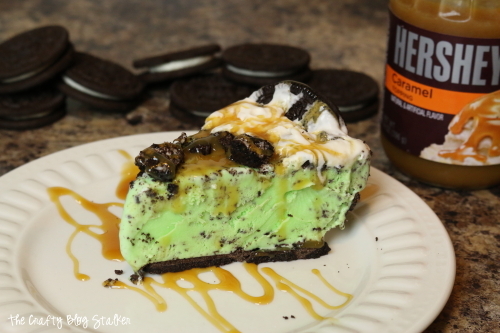 Make sure to pin this recipe to your dessert board so you don’t forget where you saw it! What is your favorite dessert recipe? Leave a comment below. Ha ha ha! Thanks so much Jess!